While a lot of people like to take off for their summer vacation, some homeowners choose a “staycation” right in their own backyard. It’s summertime and the school year is over, which for most families means they’re taking off on a summer vacation. While a lot of people like to take off for their summer vacation, some homeowners choose a “staycation” right in their own backyard. If you’re staying home for the summer, why not re-decorate your outdoor living space and turn it into your own hideaway for you and your family! There aren’t many sounds that are more soothing than the sound of a bubbling fountain or a small waterfall. Adding a water feature to your backyard can bring those soothing sounds to you. Whether you have a pond or a swimming pool, a water feature goes a long way toward creating a relaxing atmosphere. If you don’t have a whole lot of space to work with, you can still have your water feature! There are plenty of small fountains to choose from, or you can have one custom made! Once you have some water features in your backyard, take them one step further. Nothing says gorgeous tropical hideaway quite like lots of lush plants in bright, vibrant colors. Add a pop of color to your landscape with some bright flowers. One of the best parts of a vacation is seeing a new place. Turn your yard into a new place with some new plants! There are plenty of exotic plants that flourish this time of year! One of the really great features of island resorts is the comfy furniture they have. Add some relaxing furniture to your hideaway. Outdoor furniture has come a long way over the years, so it shouldn’t be difficult to find something nice. Don’t forget to add a hammock, for the ultimate relaxing hideaway nap spot. Nothing says “it’s summertime” quite like a backyard barbecue. When designing your outdoor living space, don’t forget to make room for some cooking! 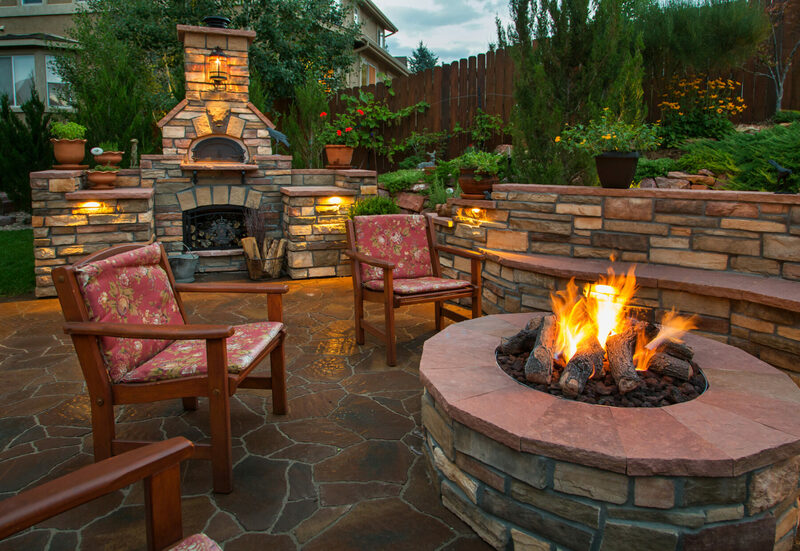 You can just add a grill, or you can design your very own outdoor kitchen! 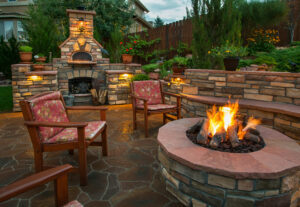 Many homeowners choose to add a fire pit as well. This entry was posted on Monday, July 30th, 2018	at 7:37 am	and is filed under Landscaping Design	. You can follow any responses to this entry through the RSS 2.0	feed. Both comments and pings are currently closed.